If you previously thought the Philips Norelco line was too expensive for you, you’ll want to take a look at the Philips Norelco Shaver 4100 Model AT810/41. 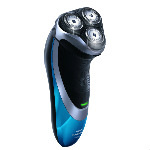 You can have a great shaver for a very good price. 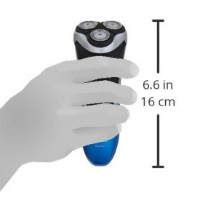 This shaver is made with a blue, silver, and black plastic body. The strip of silver is in a V-shape and flows down the front of the shaver. This shaver gives you the capability to shave any way you want. Right above that is a green power indicator. 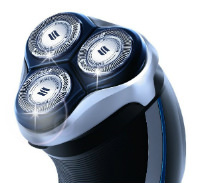 This Philips shaver is also a rotary head style with three silver rotaries within a black background. The entire shaver has a curved shape, making it easier to hold in your hands. 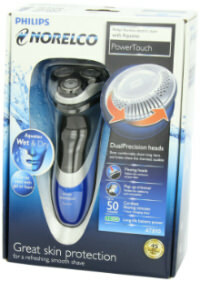 This shaver used to be called the PowerTouch with Aquatec AT810/41. It’s just the packaging that has been updated. 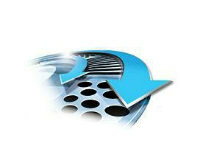 technology which seals the inner motor from moisture and water. If you choose to only shave dry, you’ll still have a close and smooth shave every time. The shaver is designed to minimize irritation and redness after shaving. If you choose to shave with water, you can also add shaving gels, creams, lotions, or foams. 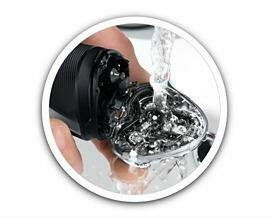 The Philips Norelco Shaver 4100 Model AT810/41 is also simple to clean. You just rinse it under warm water after use to get out the tiny hairs and shaving products. The box also includes a small cleaning brush so you can use it to scrub out your shaver to keep it clean. Maintenance is simple, and if you find your blades becoming dull over time, all you have to do is purchase an HQ8 replacement head. It’s recommended that you replace the heads once every twelve months. At the back of the shaver is a pop-up hair trimmer. This is a narrow and small trimmer that will make it simple to trim around your eyebrows, sideburns, or moustache. Within the rotary head are DualPrecision shaving heads. These are premium heads that are designed to shave not only stubble, but longer hairs from several days’ old growth as well. Within each of the three rotary heads are tiny slots and holes. This is where your stubble and hair is captured, and then cleanly snipped off. These can tackle both stubble and long hairs. The heads are low-friction so that the shaver will never get hot or burn your skin. It’ll remain cool, to give you a nice good shave. The head will move in four different directions. The rotary blades are installed on a Flex and Float system. This makes it much simpler to give yourself a shave, as the blades will easily follow the contours of your face. 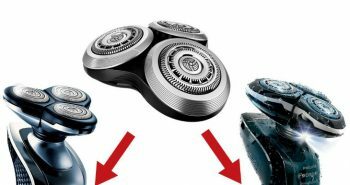 Besides this system, the blades are also nice and sharp, so you’ll be able to trim off more hairs and have an even closer shave. No matter if you’re shaving wet or dry you’ll be getting a powerful wet or dry shave, but your skin will still be well-protected. This shaver has been built with a great Skin Protection System. This means that there will be less shaving irritation. 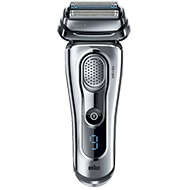 The Philips Norelco Shaver 4100 Model AT810/41 has also been designed with a patented Super Lift and Cut dual-blade action system. These blades will lift up the hair first, and then snip it off. The trimming will happen just below skin level, but still be comfortable. The shaver will also be able to tackle hairs that are growing in any direction, or those pesky hairs that lay flat against the skin. 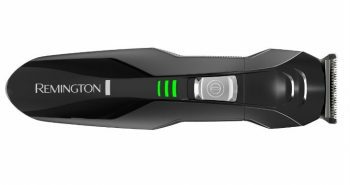 This shaver will give you the convenience of cordless shaving, whether you’re at home, or travelling. 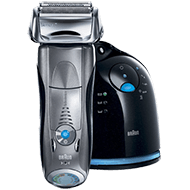 The Philips Norelco Shaver 4100 Model AT810/41 has been built with a lithium ion rechargeable battery. It will take one hour to fully charge it up. You’ll then have fifty minutes of cordless shaving time. 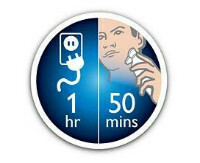 Should you forget to plug your shaver in and the battery is dead, you’ll be able to plug it in for a three minute quick charge. This short charge will be enough to get your shave done in the morning, but don’t forget to plug it in to get ready for the next day. There is an LED indicator panel on the front of the shaver. This will tell you what the charge is. You’ll know when the battery is getting low and when you need to plug it in, and when it is fully charged up so you can remove the charging cord. 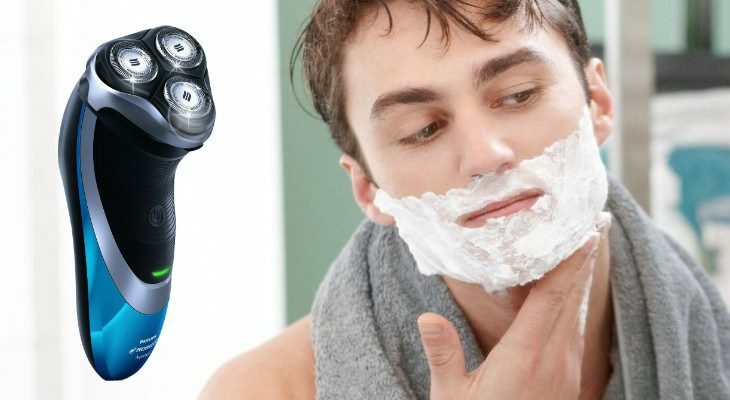 The amazon reviews are favourable for the Philips Norelco Shaver 4100 with 4.2 out of 5 stars, and over 2228 customer reviews. If you’re wondering how this shaver differs from others in the Norelco line, particularly in keeping costs down, there are a few differences. For one, you’re not getting a cleaning/conditioning/charging station. There is also no travel toiletry bag or pouch, nor any shaving foam. The heads only move in four directions, while the Norelco 9300 moves in eight different directions. There are also no speed setting selection with this shaver. In the box you’ll get one Philips Norelco Shaver 4100 Model AT810/41, a protective rotary head cap, the charging power cord, and a cleaning brush. 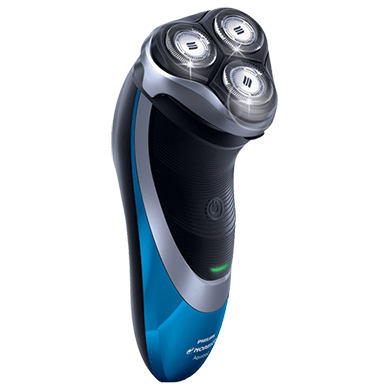 The shaver weighs 6.2 ounces and measures 1.8” x 2” x 6.1 inches. The entire packaging weighs 1.1 pound. The lithium ion battery is included. This shaver comes with a 45 day risk-free trial, and a full two year warranty. 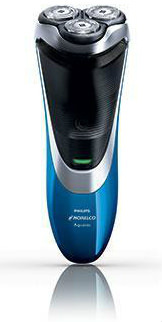 The Philips Norelco Shaver 4100 Model AT810/41 will make a great gift. It’s at the perfect price point for affordability, but isn’t so cheap that your gift recipient will want to return it. If you don’t need all the features of some of the other Philips Norelco shavers, you’ll love how well this one gives you a clean smooth shave.